Is the space between us as empty as it appears? There are no empty spaces within the body; everything interlocks together with its intelligent design. Like a beautiful jigsaw puzzle to be admired forever. With everything within inter-connected and inter-related in our bodies, how could we possible imagine that we aren’t intimately connected to the space around us? The key to feeling the space between is to re-discover sensitivity. And to find sensitivity is to slow down. And to slow down is to be present. Let nature guide you. You will never feel empty when you participate in relationship with nature. She fills up the expanse around. Let the wind caress your face and feel the gentle whisper of love as it breathes around you and within you. Find a forest or even just a tree. Stand quietly and listen. Start to pay attention to the heed of the realm around you, it is rich in offerings. There are no empty spaces. Notice how water moves freely around every orifice of your body, it does not choose to go this way or that way, it just flows where it needs to without worry or distraction. Lay on your back and look up. Look at the vastness of the sky and then take a breath. Exhale your smallness and inhale your greatness. You are connected to the cosmos, you are made of stardust, of the elements, you are the space in between. 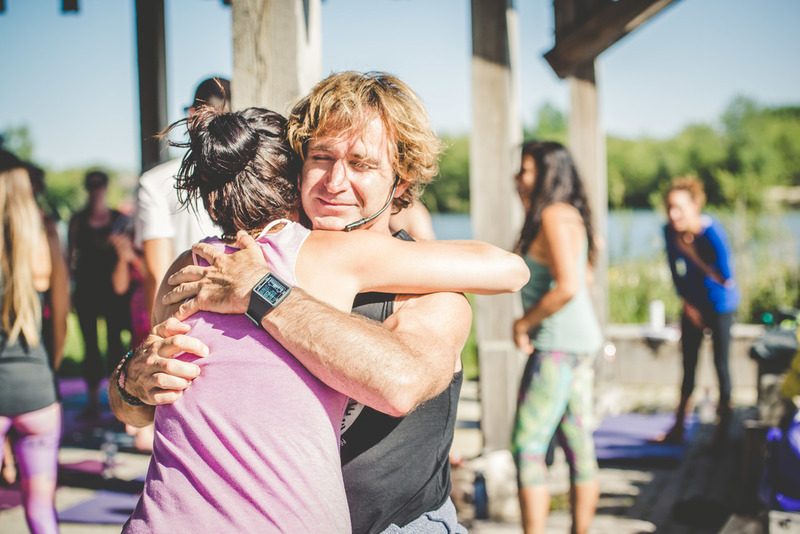 To receive the impact of sacred space, receive a hug, a real hug. One with staying power. Notice how that feeling of connectedness will stay with you, through the geographical distance, through the years, through time. It continues to bless the space between. Older PostA little ritual, some mystery and a whole lotta of intention.